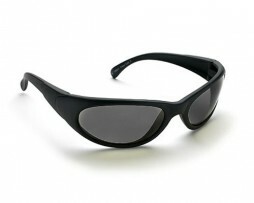 A slimmed-down model with wrap-glass and side shades to block irritating side glare. With copper lens. 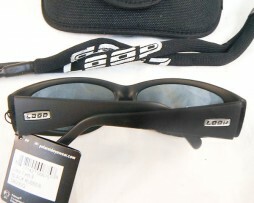 Glasses also come in LOOP carry case and LOOP chums. A slimmed-down model with wrap-glass and side shades to block irritating side glare. With Grey lens. 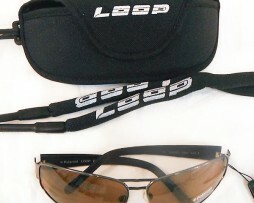 Glasses also come in LOOP carry case with LOOP chums. Stay warm when it’s cold and cool in those hotter moments with the Loop Waffle Underwear Set, an incredible under layer that adjusts to your body climate. Made of 2-way stretch fleece, the Loop Waffle Underwear Set feels soft on the skin, enhancing your day of fly fishing by keeping you comfortable and dry. The term “waffle” refers to the unique grid-style insulation. 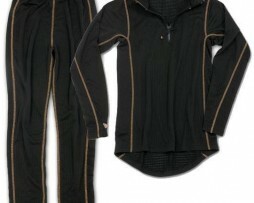 The gaps between the fleece squares allows maximum breathability as perspiration more easily moves away from your body. At the same time the insulation squares provide a that needed layer of warmth. 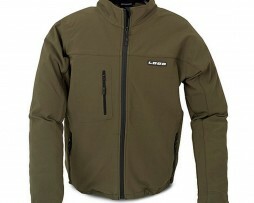 Whether it’s a brisk fishing day or you need a light jacket to be manly in, this softshell is a great fit. It’s wind-resistant and perfect for a breezy fall day. 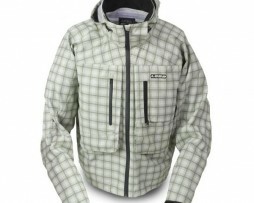 The Multi 2L Jacket is based on the same concept as the Opti 3L Jacket. 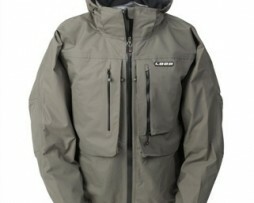 This jacket has the same adjustable hood and waist and has adjustable cuffs. 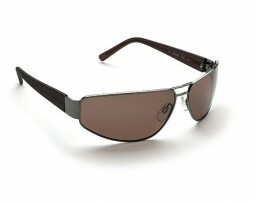 The 10eight-membrane is also completely wind- and waterproof. The outer fabric is the same smooth 100% nylon dobby-fabric to protect you from the elements and retain your mobility. 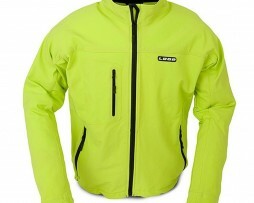 The jacket is both mesh- and nylon-lined, which makes it comfortable and strong. 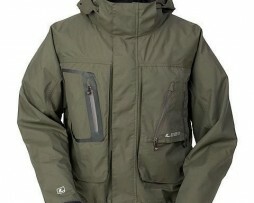 The Multi 2L Jacket comes in two models – a shorter wader jacket and a longer hip length jacket. Whichever you choose it will, of course, fit perfect together with our High Waist Trousers. 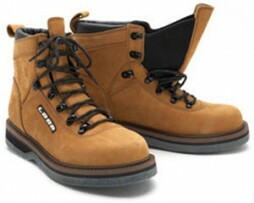 Upgraded version of our classic leather wading boot. Manufactured of supple leather and featuring tongue with elastic neoprene, high quality rings and felt sole. Extreme comfort and good support in the water or on the land. New Outer Fabric, TPU membrane, redesigned hood and a slightly different look. Tired of the ordinary grey / greenish look? 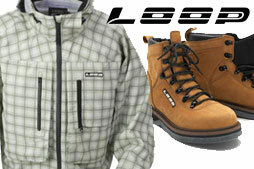 The LOOP Opti 3L is an extremely functional wading jacket that doesn’t ignore style. It will definitely make you stand out. If you want to fish without any hindrance and get the highest quality without spending your entire fishing-budget onthe waders, the Multi Waders should be your choice. 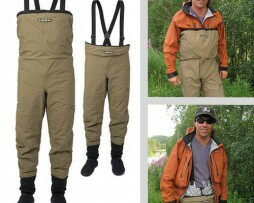 They provide you with a mixture of function and details, often only found on more expensive waders. 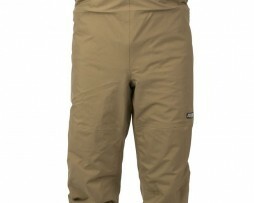 These waders have a tough and strong 3-layer + 3-layer membrane with good breathing ability and mobility. Just as on the Opti Waders you will get the clever solution with braces fastened to the waist, drawstring in the waist/chest and rubberised anti-slide string across the chest and the rubbersoled neoprene-sock. Multi waders feature a perfect fit, mobility and durability. Just wade in and go for it. 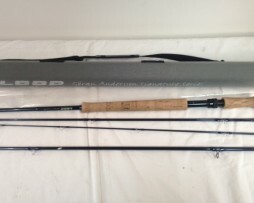 This is a new 11′ 6″ 8-weight 4 piece rod. It was used for display in a store and has not been fished. MSRP $725.00. Please contact us with questions. Comes with rod tube no sock. *This is a brand new rod. 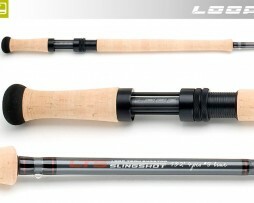 It is a 14′ 9 weight 4 piece rod and comes with a rod tube no rod sock. It is from our old stock and is being closed out. Perfecting the underhand cast requires the right back cast and being able to anchor the line and leader in order to build up energy in your rod. Loops new Opti doublehand rods have been designed to allow anglers the most consistent, forgiving and comfortable underhand casting stroke possible. Loops previous top-series Grey Line, was described as ‘rods that follow your mind’. 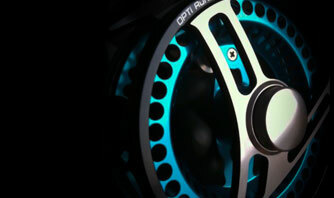 Loops new Opti rods do the thinking for you. Features : Triangular reel-seat with a permanent lock – easier to put the reel in place. Form follows function. Durable snake-guides with double coating. 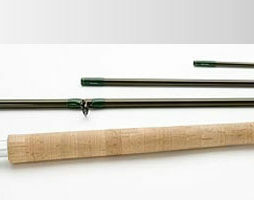 Rod model marked on each rod section. Dot marks on ferrules for correct fit of each rod section. 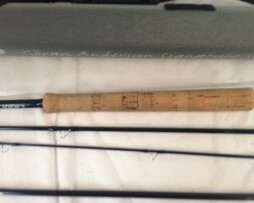 Recommended line-weight in gram marked on rod. Lifetime warranty serviced here in the USA. With today’s modern fishing the line is not always merely cast out – in many cases it’s slung away to the target. 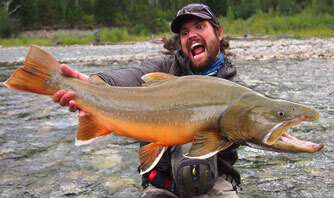 With this thinking in mind we developed a rod series that lives up to the name “Slingshot”. With a deep action that becomes better and better the more the rod is loaded and a tip fast and powerful enough to handle even the heaviest sinking lines, this rod is a pleasure to fish with! The Slingshot series’ unique action makes it equally suitable for all levels of expertise. The Slingshot was developed by our tournament casters and professional instructors Trond and Knut Syrstad. 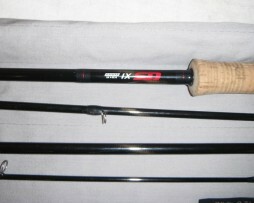 *These rods are new but have been light use as demo rods to show customers.